Just six years ago, the MGM Grand Hotel in Las Vegas and wellness real estate firm Delos partnered to create the first Stay Well rooms – designed as hotel rooms that “optimise and support the physical and emotional health and wellbeing of guests”. Delos worked with doctors at Columbia University Medical School and the Cleveland Clinic, as well as architects and engineers, to develop the first 42 Stay Well rooms, which made their debut in 2012, offering features like circadian lighting, air purification, aromatherapy and vitamin C-infused showers – all available at an upcharge of around US$30 (€26, £23) a night (see SB14/1 p28). Today, the idea has expanded, with both Marriott and Four Seasons collaborating with Delos and other hotel brands to create their own in-house versions of wellness rooms to cater for growing demand. Here then, we take a look at some of the ways in which hotel operators are taking wellness outside of the spa and into the guestroom – and beyond. Four Seasons is the latest operator to launch wellness rooms, in a pilot programme with Delos at its Beverly Hills property. Five guestrooms and three suites, located on the fourth floor spa level, have been created to optimise physical and emotional wellbeing, with features such as circadian lighting and air and water purification systems. 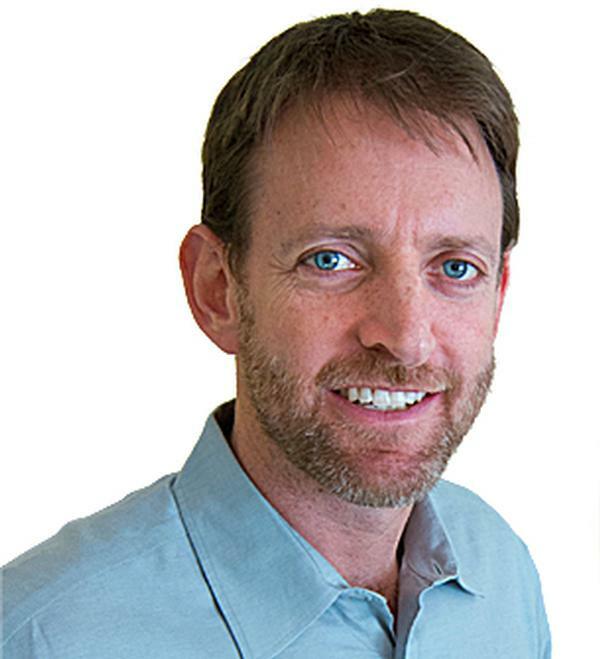 Michael Newcombe, vice president of spa & wellness for Four Seasons, reports that just two months into the programme, he’s seen a 35 per cent increase on the suites and 50 per cent increase on regular rooms (see SB18/2 p22). On top of this, the hotel charges a premium for the rooms. Guests in the well rooms have access to sleep and nutrition programmes developed by the Cleveland Clinic, guided meditation videos by Deepak Chopra, exercise equipment and yoga mats, as well as healthy in-room snack options. In 2016, Marriott added Stay Well rooms – created in partnership with Delos – to six US properties. Features include advanced air purification, essential oil aromatherapy, circadian mood lighting, non-toxic cleaning products, dawn simulation, vitamin C-infused showers and a healthy mattress. Through the Stay Well Mobile App, guests also enjoy access to a jet lag tool, as well as sleep, nutrition and stress management programmes developed by Cleveland Clinic. “Now more than ever, health and wellness are a top priority in nearly every facet of our lives,” says Jim Connelly, senior president of operations and owner services at Marriott. The rooms are popular with both business and leisure travellers and families alike. The company says Marriott Reward Members often request the Stay Well rooms as their room of choice. InterContinental’s Even Hotels brand launched back in 2014 as a lifestyle hotel with wellness at its core – though the hotels do not include spas. The group designed aspects of the hotel across four components: eating well, resting easy, keeping active and accomplishing more. The hotels feature in-room fitness elements with a dedicated workout space, fitness equipment and 18 different workout videos. Running maps are available at the front desk, and bedrooms have been fitted with high-tech lighting and bedding options – such as eucalyptus linens and colour-changing mood lights – as well as aromatherapy amenities, intended to encourage a good night’s sleep. Grab-n-go, health-conscious food is available from the brand’s Cork & Kale cafe. There are now eight Even Hotels open, including three in New York City and recent openings in Eugene, Oregon and Sarasota, Florida. There are 12 additional properties in the pipeline in the US and international expansion is also on the cards, with a development deal announced for a portfolio of hotels across Australia and New Zealand, and three properties in the works in China – the first of which is set to open in 2019 in Sanya. Swissôtel’s Vitality Room was developed in collaboration with Wallpaper magazine (see SB15/4 p78) and offers wellness features such as black-out blinds, dedicated space for exercise and relaxation, air purification system, lighting and scent options in the shower, a Vitality snack bar with fruits and superfoods and circadian lighting features. A ‘wellbeing wall’ gives guests a choice of three training modules in a compact space, with simple, self-explanatory equipment and a cyber-trainer. The rooms, which made their debut at Swissôtel Zurich in 2016, also feature a clean, calm material palette and a reconfigured layout to optimise views and improve functionality. 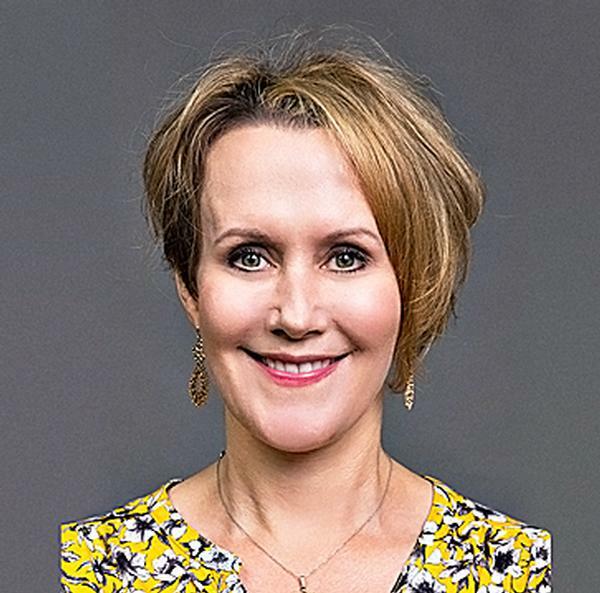 “There’s a growing desire on the part of travellers to view their accommodations not just as a place to stay, but as a place to reconnect, replenish and revitalise,” says Lilian Roten, vice president of Swissôtel. Pullman is bringing wellness concepts to its rooms, rather than redesigning them. The operator has worked with Rythm, a neurotechnology company, to trial its wearable sleep-tech product, Dreem, with guests at hotels in Paris and San Francisco. 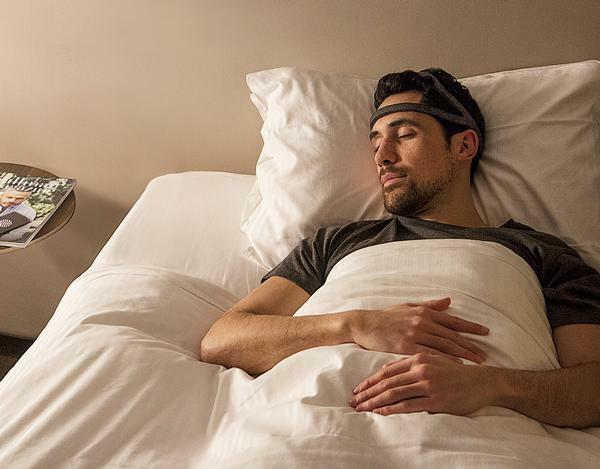 Dreem is an active sleep solution designed to enhance sleep quality – a headband uses ultra-fine sensors to track key information such as brain waves, heart rate and breathing, and discreetly diffuses sound to the inner ear. 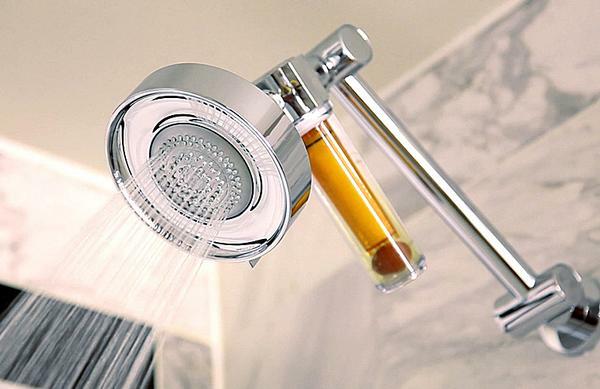 It claims to help users fall asleep more easily, enhance deep sleep and wake the user at the optimal time. 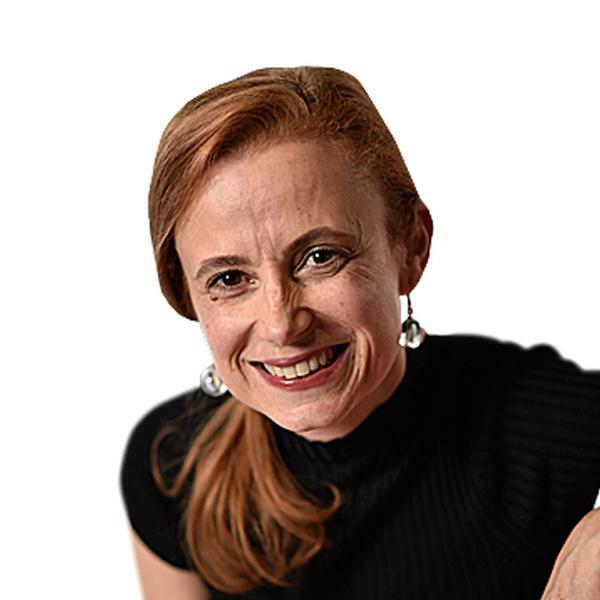 “A good night’s sleep is a cornerstone of Pullman’s wellness ethos,” says Aldina Duarte Ramos, director of wellbeing for Sofitel, Pullman and Swissôtel. “Our clientele of hyper-connected entrepreneurs and global nomads are always looking to balance productivity with personal wellbeing,” she says. Guests can request the headbands for free with priority given to Accor club members. 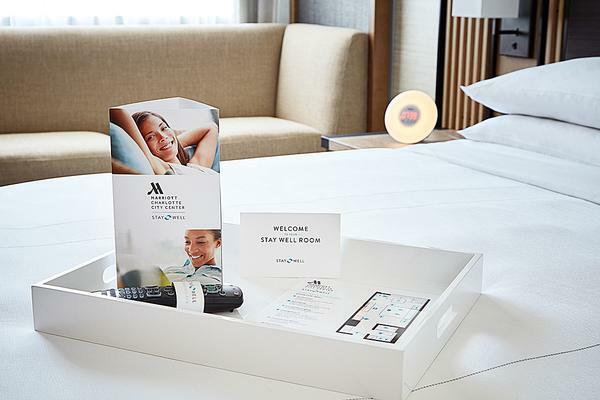 Last year, Westin Hotels unveiled a multi-million dollar Let’s Rise advertising campaign, highlighting the importance of wellbeing for hotel guests during the inevitable disruptions and the unpredictability of travel. 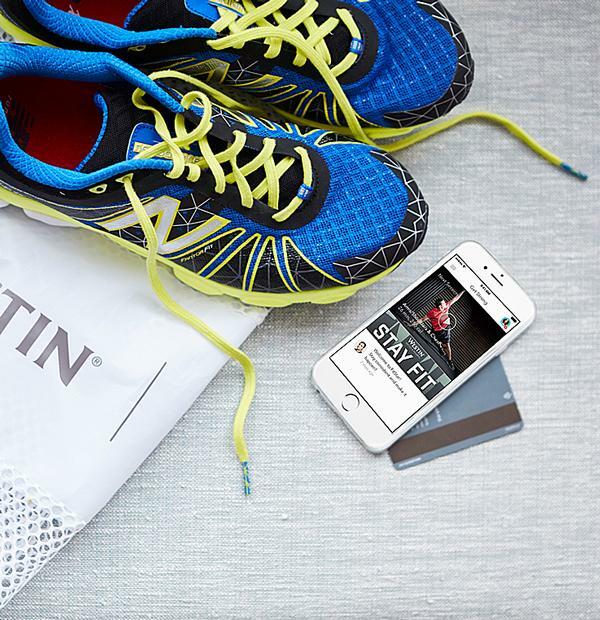 Westin already had programmes including a Gear Lending workout, developed with New Balance, which have been designed to “embody the brand’s Six Pillars of Wellbeing”: sleep well, eat well, move well, feel well, work well and play well. 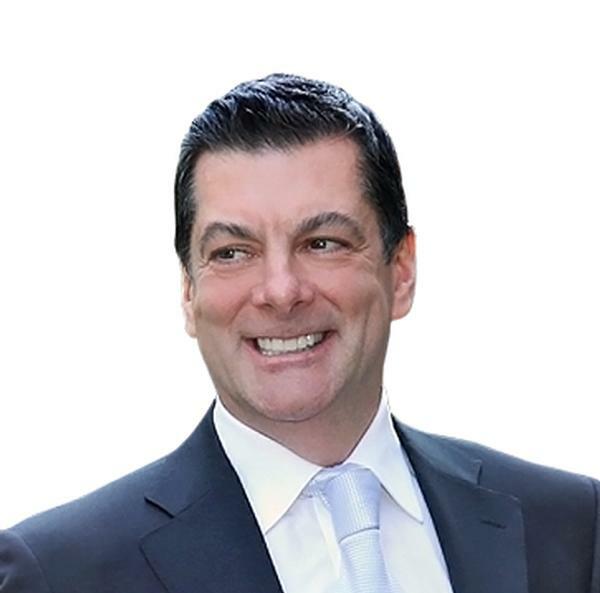 “Around the world, we’re seeing travellers realigning their priorities to put their wellbeing first,” says Brian Povinelli, global brand leader. Mandarin Oriental is taking wellness outside the spa walls through its newly launched Mindful Meetings concept (see p40) as well as a partnership with Grokker to create health and wellness video programmes for its guest rooms. Guests are given free access to a digital library of custom health and fitness video content that they can practice in-room, including a bedtime yoga routine, 20-minute fitness sessions, pilates and five-minute guided meditation. The programming is already available at a number of Mandarin Oriental hotels and will be rolled out across the company throughout 2018. “These activities allow us to leverage the great expertise and talent that we have in our Spa & Wellness division to give a better overall experience to all our guests,” says Jeremy McCarthy, Mandarin’s group director of spa and wellness. 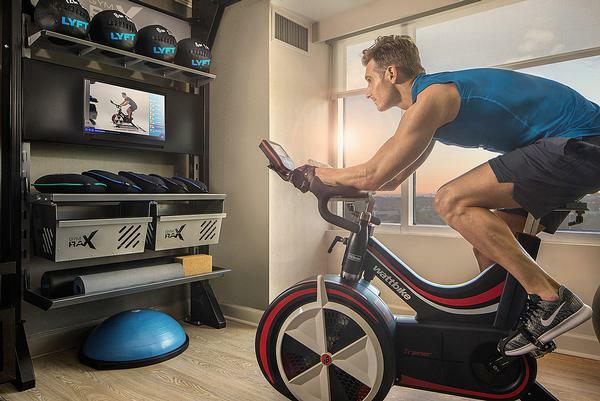 null,Hospitality giant Hilton unveiled an in-room wellness concept last year called Five Feet to Fitness, which brings 11 different fitness equipment and accessory options into the hotel room and includes more than 200 bespoke fitness videos. The new room type has a 100sq ft (9sq m) fitness space with a Wattbike and dynamic Gym Rax stations, to deliver strength, core, suspension and interval training. At the heart of the concept is the Fitness Kiosk offering equipment tutorials and guided workout routines. Also included: a meditation chair, blackout shades and Biofreeze products for muscle tension. 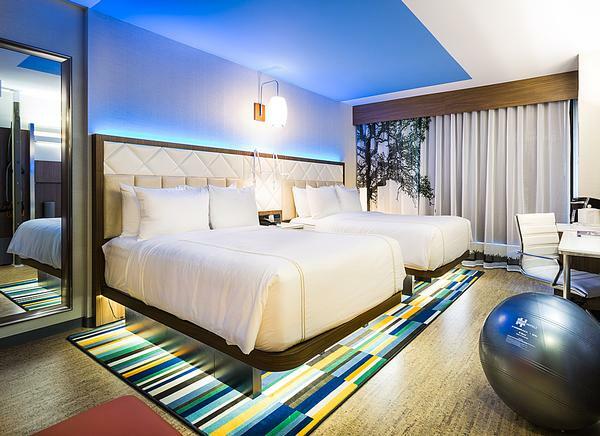 “We haven’t just placed workout equipment in a room, we’ve completely deconstructed the hotel room and carefully designed a space with an uncluttered training area, with sports-performance flooring and a separate area for rest and relaxation,” says Melissa Walker, global fitness director for Hilton. Hilton currently has 11 hotels and 31 rooms trading under the Five Feet to Fitness programme, with an additional 23 properties in the pipeline. The rooms are trading at a 20 per cent premium and achieving a 75 per cent occupancy rate. High-end health club operator Equinox has plans to enter the hotel space – starting with a location in New York City’s Hudson Yards in 2019 – with a focus on movement, nutrition and regeneration. The hotels – which will be located in US urban markets and other gateway cities, including London – will offer healthy food that’s tailored to the workout and travel regime of the guest. They’ll also aim to maximise sleep quality by removing disruptors such as light pollution and noise. The target guest is one who already embraces a healthy lifestyle. The Stay Well rooms at the MGM Grand – the first hotel to adopt the Delos wellness protocols – include 17 features designed to help sleep quality, reduce allergies and promote healthy eating. Created in partnership with Delos, Stay Well rooms incorporate features like vitamin C showers, circadian rhythm lighting and healthy mattresses. MGM started with an initial 42 Stay Well rooms when it launched the concept in 2012, but after the first year, it added more, bringing the total to 171 – which now take up the entire 14th floor of the hotel’s main tower. Stay Well rooms are also slated to be part of the upcoming Park MGM Hotel in Las Vegas, due to open later this year. 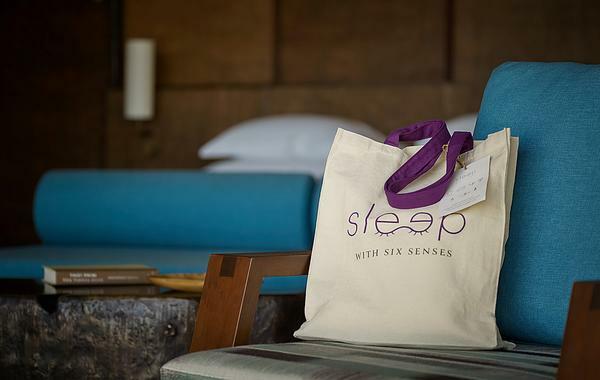 Six Senses worked with sleep doctor Michael Breus to create the Sleep With Six Senses standard, which includes handmade mattresses by Naturalmat, organic pillows, duvets and sheets and Madison Collection towelling and bathrobes in the guestrooms. 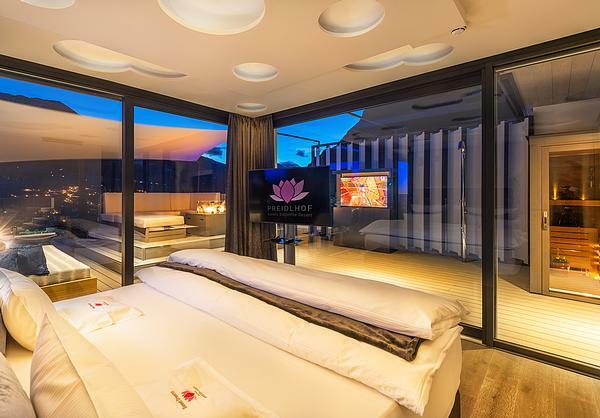 Guests can upgrade their sleep experience, which includes answering an online questionnaire so that a sleep ambassador can fine-tune the room based on their preferences. The upgrade also includes a Sleep Bag with aids such as bamboo fibre pyjamas, eye mask, ear plugs, sleep spritzer, bathroom amenities from The Organic Pharmacy and Withings Aura Sleep Tracker/App. Six Senses introduced the concept in 2016 and is rolling it out across all of its 11 resorts worldwide. The Preidlhof Hotel and Spa in Italy, has just revealed a new Dream Well Suite, which has won this year’s Innovation Award at the European Health and Spa Awards. Developed in collaboration with Sonami AG, the suite features a nature-inspired acoustic ceiling which absorbs and reflects sounds like treetops in a forest. 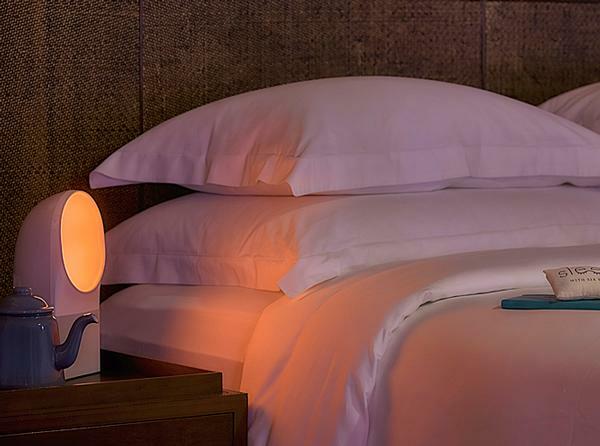 Controllable colour LEDs simulate sunrises and sunsets, and guests can awaken to a slow-starting bird concert and sunbeams finding their way through treetops, or fall asleep to a sunset at a small mountain lake. The Dream Well Suite aims to provide the ultimate ‘private spa experience’, and comes with its own sauna, hot tub, pool and gym.